MARTIN/F. Weber-Ellipse XL Peel-Off Paint Palette. 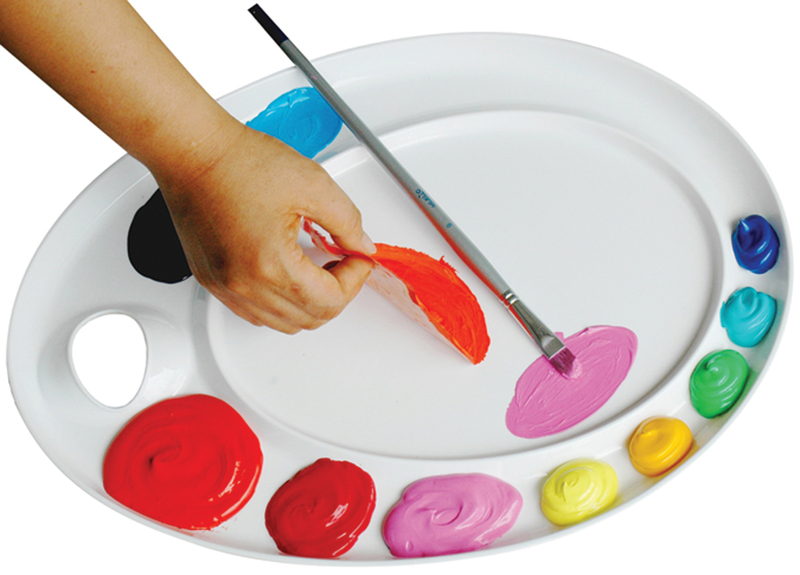 This easy to use and easy to clean paint palette features rubber feet for non-slip use, a comfortable hand grip, and more space for primary colors. Plus no more washing and scrubbing! Just peel off your acrylic or oil colors to clean. This package contains one 17x12 inch paint palette. Paints not included. Imported. Imported.